1 3/4" x 1 1/2" x 3 1/2" tall polyresin figures. 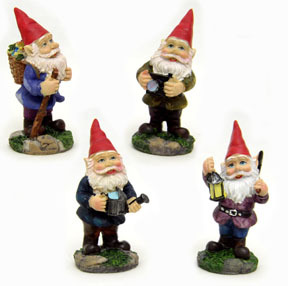 These gnomes come in 4 different styles. Unit comes 12 pcs. assorted in a box.